JUPITER is called “The Great Benefic” in astrology… it is the planet of good luck, social opportunity, personal growth and happy expansion. Where JUPITER is found in your natal astrology chart, you can always count on having good luck. For example, if you were born with JUPITER in your 2nd House, you will always have good luck with money; if it’s in your 5th House, you can count on consistent good luck with children. After you were born, JUPITER continued to move through the constellations of the zodiac, activating the various houses in your astrology chart. 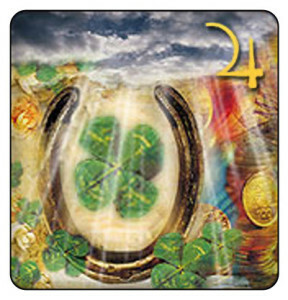 As it moves through each house, that area of your life is temporarily blessed with unusual good luck. JUPITER opens the OPPORTUNITY for expansion by providing you with a temporary platform of good luck in different areas of your life, but it is up to you to ACTIVELY USE these opportunities when they are available. In this way you can turn temporary good luck into permanent gains. It is the purpose of this report to inform you of the area of your life JUPITER is currently blessing with heightened good luck and opportunity. Suggestions are offered for how to use each time period to your best advantage. Different aspects of life are important to each of us, so a wide variety of ideas are included for each house. Do not let yourself feel overwhelmed by this full spectrum of possibilities. Choose one or two aspects where you would really like to experience progress, and then focus on expanding and allowing yourself to be open to increase in those sectors. When the planet JUPITER is traveling through your 5th House, it lights up your playful nature, attracting opportunities to you for romance, fun, and enjoyment of life. Jupiter is trying to open your heart so you can experience more love and pleasure. Take advantage of this opportunity to make a permanent gain in the following areas of your life. For best results, choose just one or two of these suggestions for personal growth and expansion, and then take action to make real progress in the areas you select. Romance is highlighted with this once every 12 year opportunity for extraordinary improvement and expansion. If you are Single, this period will wake you up again to the joys of romance! This may be difficult to imagine since you have probably just been through an 8-year dry spell in terms of true romantic play and excitement. However, it is likely that several “candidates” will cross your path during this cycle and clearly let you know that they are romantically interested in you. The person who triggers your heart strings is destined to help you reclaim your romantic energy, and is not necessarily a marriage partner. Be sure to give the relationship time to mature and to really get to know each other before making a lifetime commitment. If you are Married, this is a window of opportunity to increase the romance in your relationship. Run the experiment of doing things with your mate that are fun for both of you: romantic dinners, dancing, a shared sports activity, or exploring something new together. You have good luck in romance now, so this an ideal time to take a vacation together and spend time really enjoying each others company. Your sexual relationship may well improve and become more pleasurable – especially in romantic settings combined with a light, playful approach. Good relationships with children are definitely part of the good luck, happiness, and opportunity for expansion during this cycle in your life. If you are a Parent: Be sure to connect with your children more often than usual during this period. Consciously make extra time for getting to know them and enjoying pleasurable activities together. Your ability for clear and positive communication with your children is very strong. You will find your relationship with them naturally improving and feeling happier. If you are not a Parent: This is a great time to connect with any children in your life – grandchildren, nieces, nephews or friends. You could also participate in activities involving children: coaching a team, mentoring a foster child, cheering up children in your local hospital, or spending time with children in some other way. This is also an excellent time for having a child, as your chances of pregnancy are definitely enhanced during this transit of Jupiter. If you are considering fostering or adopting a child, this would be the time to do it. You will definitely feel the desire to expand your experience of love through connecting with children, and are likely to have good luck in attracting the right child to you at this time. Your Inner Child: Within each of us in an Inner Child that loves to play, gets scared, pretends, likes games, enjoys life and has fun! Often we suppress this part of ourselves and put it “on hold” because of more pressing adult responsibilities. Over the years it’s possible to lose touch with this playful part of our nature, and life loses its luster without this sense of wonder and delight. When Jupiter transits through your 5th House you have a rare opportunity to get in touch with – and encourage the expression of – this child within. This is an excellent time to read books on the Inner Child, or get counseling to expand your awareness of your Inner Child and learn how to better integrate that joyful, innocent part of yourself back into your life. Your passion and creativity are sparked during this cycle of Jupiter. Current Projects: If there is a creative project you have already started – writing an article, book, or group of poems, or beginning a photography series, art project, quilt or anything else of this nature – this is the time to become involved with the process of bringing it to fruition. Your creative juices are flowing and you can really enjoy this period by channeling your energy in directions that bring you happiness and allow you to express yourself. Jupiter rules the opportunity for social acceptance when you are expressing the energy of the house where it is found. Society may be more open to embracing your creative projects now than at other times, and you are likely to gain opportunities and rewards by expanding your abilities to express your talents. Starting a New Project: If there is something that you have been wanting to create, this is an excellent time to act on your idea. You may not know exactly how to proceed, but take the first step and let your own creative force guide the project. When a child begins to build a sand castle they don’t know exactly what it will look like. They simply sit in the sand and begin to create their dream with the tools they have on hand – and a healthy imagination! At the end of the day they have created something that didn’t exist before, and have had a wonderful time in the process! Developing Gifts: If you have a natural ability for painting, sewing, singing, acting, etc. – THIS is the time to take action to develop your latent gifts and areas of creativity. Enroll in an acting class, take dance lessons, or join your local community theater group. It’s time to develop your talents for creative self-expression and begin to play! When Jupiter passes through your 5th House it stimulates your desire to have fun and to consciously enjoy your life. Vacations: You have a heightened ability to enjoy yourself while Jupiter is in your 5th House, making it the perfect time to take some vacations and give yourself a break! If you play when the time is ripe for play, then when the time for work comes around you will feel re- energized. Because your natural ability for enjoyment is enhanced, purposely take as many vacations as you can and enjoy them to the max. Plan at least one long vacation this year that allows you to participate in activities that are fun and exciting to you. Even on weekends, take longer breaks than usual whenever you can and enjoy a camping trip, stay at a romantic bed-and-breakfast, or try some new activity that has always sounded like fun. By consciously expanding your awareness and enjoyment of opportunities for recreation, when this transit passes you will permanently retain the gift of experiencing increased joy from the fun activities in your life. Risks/Taking Chances/Speculation: You will tend to be ‘lucky’ in these areas during this transit. This does not mean that you should give a green light to gambling activities, but it does mean that you will enjoy such activities more than usual and are likely to attract more good luck. You sense of enjoyment from taking other kinds of risks is also heightened. Fun and Games: You will naturally begin to enjoy your life more and have more fun during this time. Run the experiment of ALLOWING this and consciously support it by allotting time for play and activities that are fun for you. This might include dancing, attending sporting events, going to plays and concerts, taking a long walk on the beach or a drive in the mountains. Activities that are inherently fun for you every time you do them – THOSE are what you need to work into your routine on a regular basis during this cycle. JUPITER, the planet of Good Luck and opportunity, transits around the entire chart once every 12 years, and remains in each house for approximately one year. So the special “good luck” of that house is only activated once every 12 years. By TAKING ADVANTAGE of the Jupiter energy by consciously focusing on the area ruled by the house involved, you will EXPAND you capacity to attract good luck into that sector of your life, even when the transit cycle is past. The idea is to actively concentrate on one or two aspects of the area currently affected by JUPITER that are important to you. For example, when Jupiter is passing through your 7th House (marriage), focus on increasing the joy in your marriage by starting a pattern of doing things with your mate. If seeking an appropriate marriage partner, go out of your way to meet new people and participate in social activities where you are most likely to find a potential mate. When Jupiter is in your 7th House, it will be easier for you to socialize with others and you’ll have more good luck in meeting someone suitable than at other times. Power Tip: By all means, combine the power of making wishes under the New Moon (see NEW MOON ASTROLOGY by Jan Spiller) with the area of life where JUPITER is currently bringing good luck. For example, when Jupiter is traveling through your 5th House (which rules both children and romance) it’s ideal to make New Moon wishes about creating better relationships with your children and/or bringing a new romance into your life. This way you combine power cycles, and the results will be even more phenomenal.